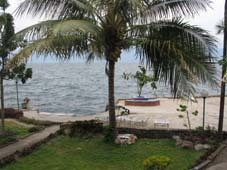 Anju Cottages are right down on the Lake, next door to Samosir Cottages with great views over Lake Toba. I made the mistake of staying there on a Friday,the day was nice as I had a room by the lake, it is advertised for travelers at its restaurant, at around 2200hrs I was in my room asleep when I was awoken by a very loud sound system which had been placed outside my room door, A large group of local tourists had arrived and began to party, on asking them to move their music system elsewhere they became rude and aggressive! I complained to the lady who booked me in who had promised me I would not be disturbed as id been next door, I asked her why she had lied, she told it was business, I left early next morning, and advise other travelers to give the place a miss on weekends! 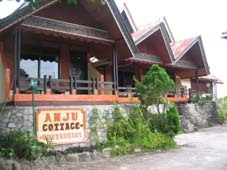 Have you stayed at Anju Cottages?